Jon joined Paul Steelman Design in 1999, overseeing theater lighting, rigging and seating layouts, interior and exterior lighting, and custom visual feature design. He has completed numerous domestic lighting projects for the Venetian, MGM, Harrah's, Hard Rock as well as completed projects in Macau, Madrid, Manila, Helsinki, and Ho Chi Minh City. 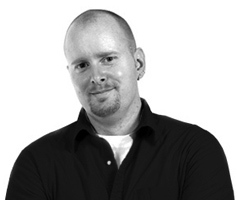 Jon has served as President of shop12 design since its inception in 2007. He is currently working on a multitude of projects that span the globe including Las Vegas' newest mega-resort, Genting's Resorts World Las Vegas, as well as work for Naga Corp in Cambodia and Galaxy in Macau. Jon has been Lighting Certified (LC) by the National Council on Qualifications for the Lighting Professions (NCQLP) since 2007, is a professional member of the Illuminating Engineering Society of North America (IESNA), and is LEED © AP accredited.